The site contains a derelict bakery and shop which had been left vacant for many years and is now in need of demolition. 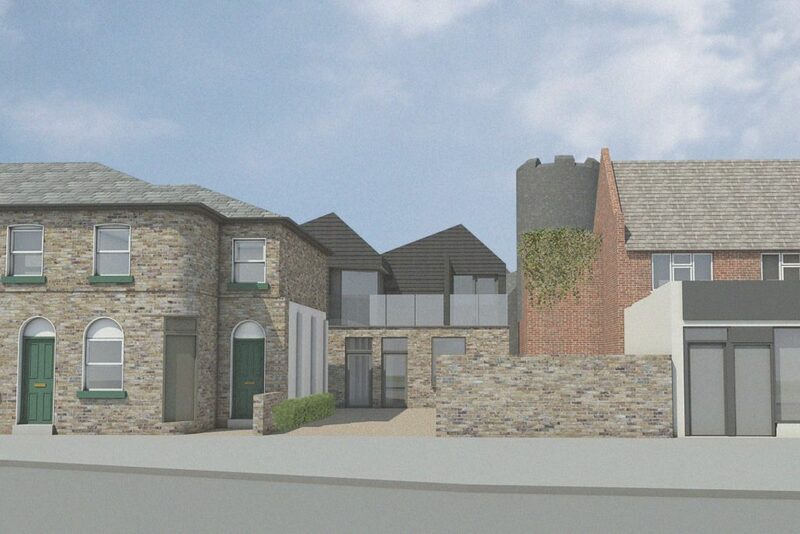 The site, fronting a Saxon Church is sensitively situated within a conservation area and required a high quality design and materials to be specified. The design concept takes an industrial aesthetic from the original use and the asymmetric roof has been informed by the double pitch roof of the existing bakery to maintain a familiar street scene. The replacement building will provide 3 apartments and will be constructed from salvaged yellow London stock bricks from the existing building to carry on the legacy of the site. The black stained cladding is a found material in the locality and references the agricultural history of the area.